Pest description and damage Several species of cutworms attack dahlias. These are green, reddish, or black caterpillars up to 0.75 to 1.0 inches long. Some cutworms feed mostly at the soil line,and may cut off emerging shoots at ground level. Others cut C-shaped swaths from the edges of the leaves. Cutworms are caterpillars in the Noctuid family in the order Lepidoptera (butterflies and moths). 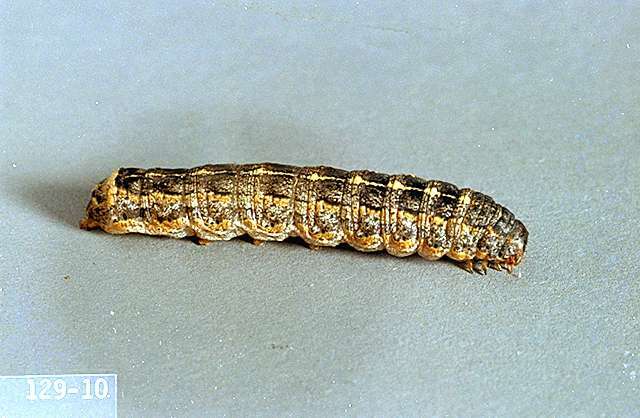 The variegated cutworm is commonly found in gardens. The larvae are black and brown with white markings. 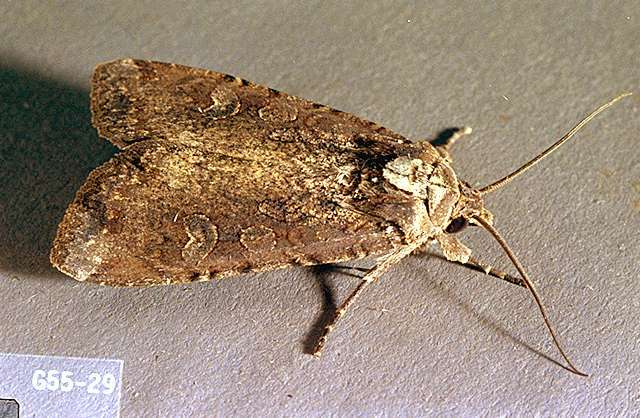 A new invading species is the large yellow underwing, Noctua pronuba, with a black stripe along the edge of the yellow hind wing. Cutworm larvae are nocturnal and their feeding will leave the plant with a ragged appearance. 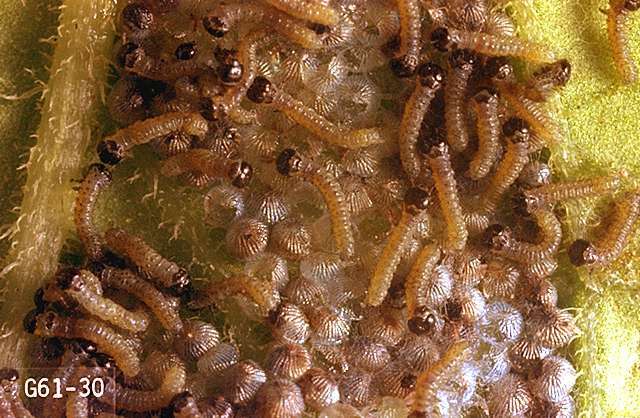 Cutworms leave pellet-shaped droppings on underlying leaves.